Ever wonder who is responsible for printing your country’s passport? Below we’ve compiled a list of every country in the world and its respective passport printer. Passport printing is a high stakes job and only the most secure companies and facilities are up to the task. Many security features go into a passport, such as special holograms, fibers, tamper-proof materials and electronic information, that make it next to impossible to forge or counterfeit. Passport specifications are set out by the International Civil Aviation Organization, but each country can choose which security features to include in its passport. Secure printing is not easy, but the below companies can handle producing the world’s most secure travel documents. Our list is a work in progress. If you have any additions or corrections for us, please don’t hesitate to let us know at [email protected]. Bulgaria Printing Works of the Bulgarian National Bank Corp.
Hong Kong C & C Security Printing Company Ltd.
South Korea Korea Minting, Security Printing & ID Card Operating Corp.
Macau C & C Security Printing Company Ltd.
Poland Polish Security Printing Works S.A.
Slovakia Giesecke & Devrient Slovakia S.R.O. 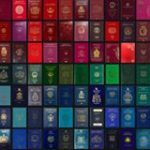 *Passport Index has compiled the above list using extensive open-source research. Not all countries and companies are listed. Please don’t hesitate to contact us should you feel any part of our list is out of date or incorrect.